We've seen several WiiWare titles make the jump to other, probably more profitable, platforms, but it happens the other way around too. Save the Furries is one example; it started life as an iOS title, but now the alien-saving puzzler has scurried over to the Nintendo side. The goal is to get the titular helpless creatures from A (their spaceship) to B (a rather underwhelming wooden platform), solving small puzzles and manipulating the environment to steer them to safety. You've got to stop them getting eaten, crushed or impaled by the many elements that conspire against them, your pointer-controlled cursor acting like the hand of a deity. You can't interact with the little beasts directly, but you can break bridges, place boxes over spikes and drag them along in tiny timber cars. All you need to do is point at anything that has a big reticule around it – helpful, but slightly too large and a little intrusive – and hold the B button to pick it up, then move about and drop it by releasing the trigger. 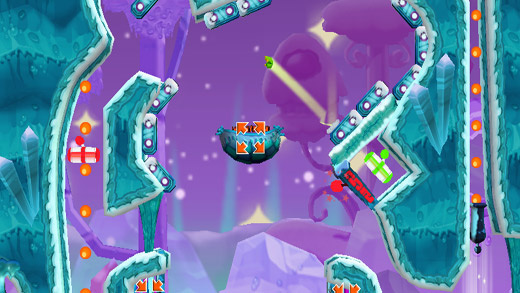 Several distinct obstacles collide to make the 60 levels interesting. A single stage might demand that some gaps are filled in, animals or bombs are catapulted about and vehicles are sent soaring over canyons. There's no central timer to work out the solutions, but it's not always possible to take your time as, Lemming-like, your wards do their best to stumble towards danger at every turn. The level structures in place are varied, but many are heavily undermined by floaty object manipulation which often results in complete chaos; occasionally this is hideously combined with stricter timing thanks to the threat of hungry enemies. There are many times when you pick up a log to create a bridge or ramp, only for it to scrape something and swing into an angle that can only be corrected by bumping it around into other objects haphazardly until it moves into the correct position. The overwhelming urge is to twist the Wii Remote to alter the angle, but there's no option to do that. 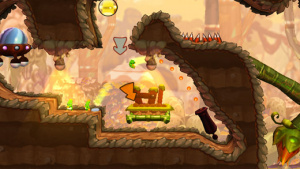 Send a bomb into a pile of boxes and sometimes they land neatly just where you want them, other times they're flung far and wide across the stage. The only way to shift them to somewhere more convenient is to bomb them again – somewhat confusingly, some boxes can be picked up but others can't, but at least that reticule makes which can and can't clear. Put alongside narrow timing windows when enemies are trooping about, and add the fact that the camera drags along sometimes, it can be a disaster. Several puzzles are made far more difficult than they should be because of these problems; the solution is clear, but getting there is an exercise in frustration because things either don't control or don't move as you expect them to. In some levels it's easier to brute force a solution and herd the animals through by exploiting the physics rather than actually solve the problem properly. For example, you could let a furry walk onto a box and, before they've had the chance to move off it, pick the box up and lift them to where you want them, or flick quickly to send them flying over an obstacle rather than deal with it properly. You might simply get lucky thanks to the seemingly random nature of the physics. Sometimes objects splat characters, other times they don't; at one point we ended up in a scenario where we had filled a pit with alternating logs and enemies, with one of our characters precariously stumbling about sandwiched somewhere in the middle, always a millisecond away from death, until we sent the entire contents of the hole flying by flicking up a box stowed away at the bottom. It's hit and miss, and that makes playing by its rules much harder. That these problems exist is a real shame, as when Save The Furries gives you plenty of time to move ahead and prepare each section for a safe crossing or focuses on a smaller scale it feels good and presses that button in your head that makes you feel a bit clever for solving a conundrum. 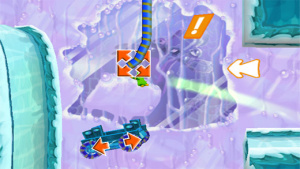 Some levels are genuinely great, while others just annoy. The presentation is similarly jumbled. The music would be mildly pleasant were it not repeated over and over again on each stage. The worlds are split up quite strangely as well, considering that several have the same theme: Forest, Jungle and Amazonia are all set in similar environments, and as such they share their looks and art assets, which are quite basic but are fine considering that the game is played in a zoomed out view most of the time. If you don't want to faff about with selecting levels and would rather resume from where you left off immediately you can select Fast Play, which puts you in the express lane to puzzling. 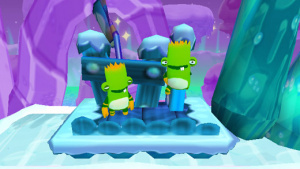 For replay value, though, levels can be attempted as much as you like to improve score – by saving more critters and making them go slightly off the beaten path to grab medals – and there are achievements to be earned. 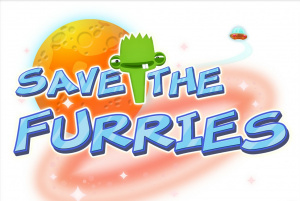 Save The Furries is a real mixed bag. 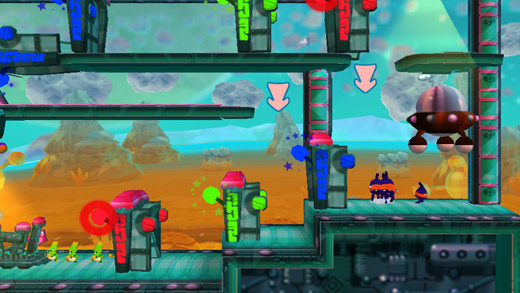 Some levels feel focused and work very well, but others are floaty and chaotic to a degree that just isn't fun. It has its merits, but unless you're a big follower of this sort of puzzle game, you might be better off saving your Nintendo Points instead. What? We get something like this after one month without Wii Ware Games. sometimes i think they are like "well, it doesn't have to be so good because it will be digitally distributed, so people aren't expecting much"
Developers can't do something great with 40MB size limit. I hope Nintendo raises the limit about 8GB for WiiUware. @Azooooz I thought Max & the Magic Marker, World of Goo, MotoHeroz, Fluidity, Mega Man 9, Mega Man 10, Bit.Trip.Runner, Groovin' Blocks, and Cave Story were all pretty great. Bigger size limit would be nice, but it's certainly not required to make a great game. Not to mention I have no doubt Retro City Rampage will likewise be great. Toki Tori is a good game. It's my favorite on wiiware. All VC games are below 40 mb and there are impressive games like SMario 64 or Chrono Trigger or Last Blade. They can do something great with wiiware too. and this game also looks uninterresting. Save yourself,let the Furries die. Just received my review copy of Save the Furries for WiiWare. I've had a little play around with it and it doesn't seem to bad. I'll give it an extensive play through tomorrow and deliver my verdict! @SketchTurner Retro City Rampage is going to be absolutely awesome! Can't wait to get my copy!